Tyler the Creator has been in the spotlight since his infamous “Yonkers” music video came out in 2011, which showed a young Tyler swallowing a roach while spewing some not so family-friendly lyrics. This gave him and his crew Odd Future Wolf Gang Kill Them All (OFWGKTA), which includes Frank Ocean and Earl Sweatshirt, a loyal fan base. Tyler himself has put out three solo LPs since then, each growing with him in terms of lyrical content and production quality. On his newest LP, “Flower Boy”, Tyler has amplified his love for soul and R&B music by creating a very moody, well-produced album that solidifies his mark on modern hip hop music. “Flower Boy” shows progress for Tyler the Creator in many ways, but one way that stands out is the production. On past projects, Tyler has a bit of a sporadic tinge on his production. One song sounds one way and the other is very different, making it hard to keep a general mood for the album and making it difficult for people to take him seriously as a producer. Tyler also has a signature clunkiness to his percussion, a lot of which comes from heavy N.E.R.D. influence. On this album, everything is smooth, and if it’s clunky, it’s clunky in an endearing way that keeps his personality in the forefront. The album has bangers like “I Ain’t Got Time” and the single “Who Dat Boy” featuring frequent collaborator A$AP Rocky. It includes hard hitting beats and some tough lines, but the highlight of this album is the moody anthems like “See You Again,” featuring Kali Uchis. With an insanely catchy chorus that is sung by Uchis’ sultry voice, “See You Again” has the potential to be the big hit of the album. 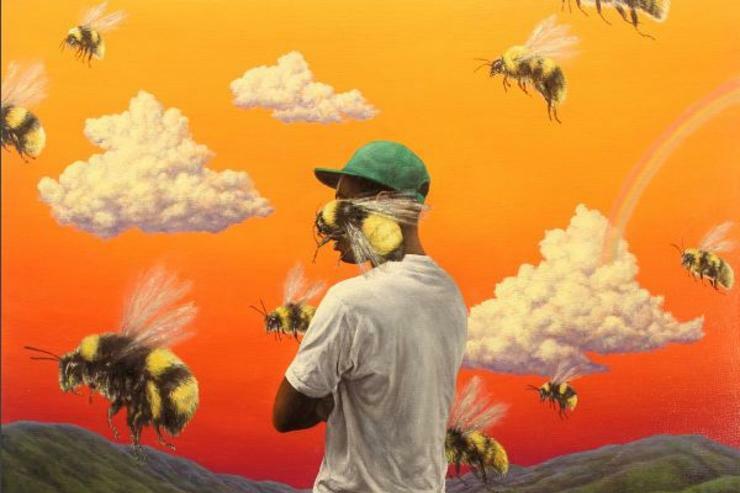 Songs such as “Garden Shed” and “I Ain’t Got Time” have some lines discussing Tyler’s sexuality, which add to the personal feel of this album. Tyler was also able to get another great verse out of Lil Wayne on “Droppin’ Seeds”. There are no duds on this album; every song has something to offer, but the one problem on this album is the way that it ends. It is not a bad ending…but after going through the entire album, ending on an instrumental just does not do it justice. There isn’t really a sense of closure than an emotional album like this needs. Verdict: “Flower Boy” sees Tyler the Creator at his most consistent. The great thing about this album is that he is able to make hip hop music with the bountiful influences that he has and not dumb it down for people to enjoy it. At its core, “Flower Boy” is great music, and everybody loves great music.